If you are looking for a quality oil change, San Ramon has Valley Import Center for all of your car maintenance needs. At Valley Import Center, our experienced and highly trained car care professionals will provide your car with a quick and efficient service at our full-service auto shop. We are your one-stop shop for auto repair service and maintenance needs, whether you are in need of a basic oil change service or perhaps something a little less basic like taking you car in for full engine repair. For oil changes, San Ramon residents go to Valley Import Center because of our fantastic customer service and dedication to providing quality work. If you’re looking for a quality oil change service, you can set up an appointment by calling our shop, or by scheduling online. Let us help you stay up to date on your car maintenance by providing your car with a fast and friendly oil change that San Ramon locals trust. 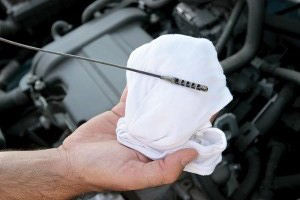 Taking your car in for an oil change in San Ramon is the best way to keep your car healthy and running smoothly. Make sure you come in regularly—about every 3 months—for an oil change. There may be many places to get an oil change in San Ramon, but at Valley Import Center, we like to think of ourselves as an alternative to dealer service in the Tri-Valley area. Drive on into our auto shop for dealer quality oil change service or for full auto repair without the dealer price tags. Be sure to keep your vehicle well maintained, Valley Import Center offers the best services from tire alignment, smog check, oil change to diagnostics and scheduled maintenance.